Our headquarters are situated in the historic town of East Grinstead on the same site as The Queen Victoria Hospital, the home of plastic surgery in the UK. The clinic is close to Gatwick airport and only approx 45 minutes from London by train. Situated within the world famous McIndoe Hospital, we offer a friendly, affordable yet exclusive service with easy, secure parking. Please fill in all of the fields below (name, telephone number & email address are required fields). Yes please, i would love to keep updates on your clinic news and offers. We would love to keep you updated on exciting clinic news, VIP events, Special offers and clinic discounts. We will always treat your personal details with the utmost care and we will never sell them on to other companies! Our headquarters are situated in the historic town of East Grinstead on the same site as The Queen Victoria Hospital, the home of plastic surgery in the UK. The clinic is close to Gatwick airport and only approx 45 minutes from London by train. Situated within the world famous McIndoe Hospital, we offer a friendly, affordable yet exclusive service with easy, secure parking. We also run additional skin health clinics in Sussex, Kent and Surrey (including Tunbridge Wells, Sevenoaks, Haywards Heath, Brighton, Worthing and in central London). 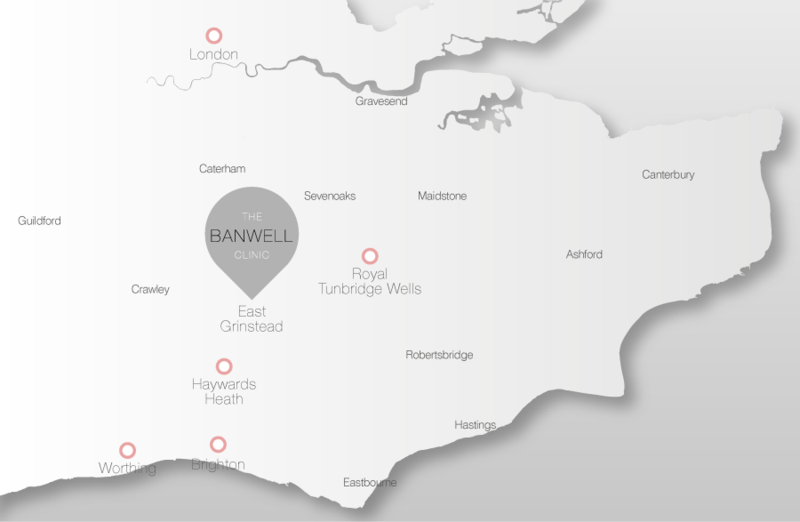 At The Banwell Clinic, we are experienced in treating a wide array of cosmetic conditions and skin problems. Armed with the latest technologies and a variety of treatment options, our mission is to provide you with the best possible care. A brilliant procedure and can provide instant results. Non-surgical rhinoplasty (nose-job) is a brilliant procedure in the right individual and can provide instant results. Small irregularities and contour issues affecting the dorsum and tip can literally be ’smoothed’ out! A degree of artistry is required to perform this procedure and Mr Banwell will be able to explain the procedure and expected outcome in more detail. A streamlined, quick and easy service for the removal of moles. 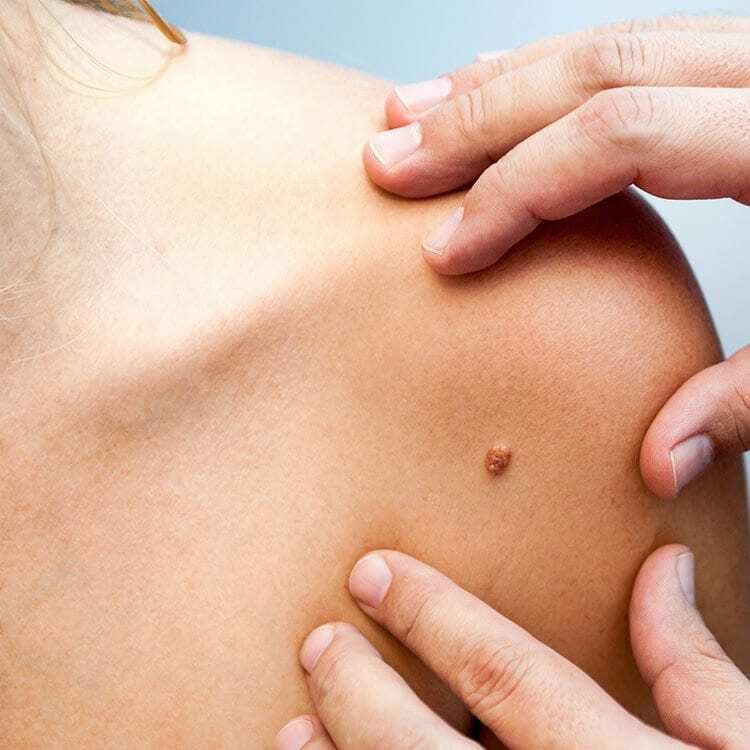 The Banwell Clinic offers a streamlined, quick and easy service for the removal of moles for cosmetic reasons or if they are becoming traumatised on clothes or jewellery. Performed under local anaesthetic (‘LA’ – with you awake), moles can be removed to leave a small mark red mark which eventually fades although in some cases sutures maybe required. Please feel free to enquire with one of the team for more information. Malignant 'growth' of tissue made up from cancer cells. A skin cancer is a malignant ‘growth’ of tissue made up from cancer cells which continue to multiply. Malignant tumours can invade into nearby tissues and cause damage. Although most types of malignant tumour tend to spread (metastasise) to other parts of the body this is more unusual in the case of skin cancer. 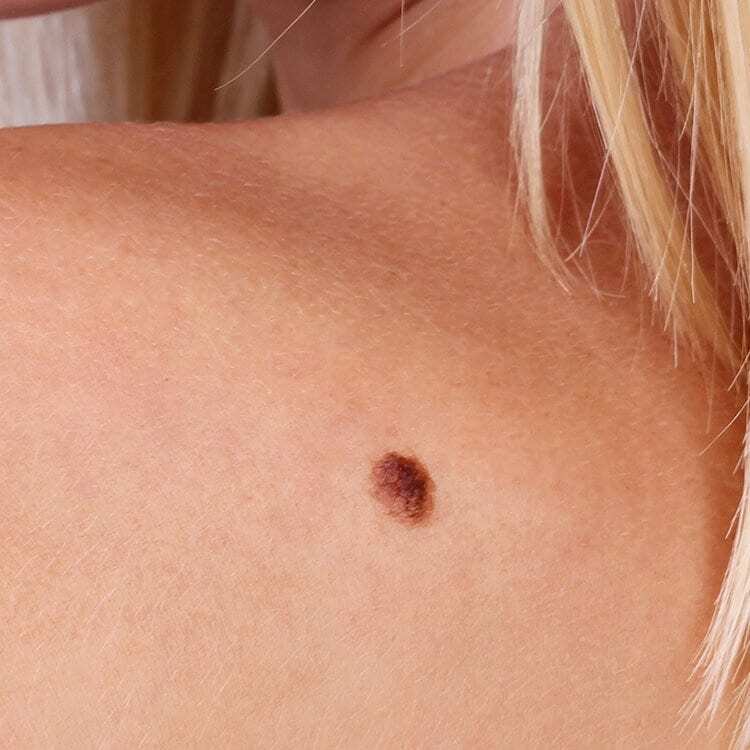 The commonest form of skin cancer called a ‘basal cell carcinoma’ (rodent ulcer) are in actual fact very slow-growing, grow locally and almost never spread. In contrast melanoma is the skin cancer that we are more wary of as it does have a pre-disposition to spread. Very easy to remove under a local anaesthetic. Skin tags and warts are extremely common but can be rather annoying in addition to being unsightly. They are very easy to remove under a local anaesthetic and it is possible to remove several in one sitting with minimal downtime so you can get on with your daily activities. A wide variety of cosmetic surgery of the breast, body and face. The Director of The Banwell Clinic, Mr Paul Banwell FRCS(Plast), is a UK-trained, acclaimed Plastic & Cosmetic Surgeon who performs a wide variety of cosmetic surgery of the breast, body and face. Recognised by Tatler Cosmetic Surgery & Beauty Guide and The Times, he is renowned for his kind and attentive approach and thousands of glowing testimonials. The latest generation of laser hair removal services. We are excited to be offering the latest generation of laser hair removal services at The Banwell Clinic. Super Hair Removal (SHR) can provide silky smooth legs in an incredibly efficient, painless fashion. Other areas including underarms, bikini and face can be treated too! Chest and back areas for men also available. Hyperhidrosis is a common condition characterised by excessive sweating. Sweating is necessary to control body temperature during exercise and warm/hot conditions and is a normal response to a rise in body temperature or anxiety. Sweating is regulated by the sympathetic nervous system and in about 1% of the population this system becomes overactive and results in sweating, far in excess of what is required to maintain a normal body temperature. Hyperhidrosis can occur in many areas of the body, more commonly the armpits, palm of hands and soles of feet. It affects both sexes equally, usually occurs on both sides of the body equally and is apparent in all races. This is usually a long term condition but can be managed successfully. Hyperhidrosis doesn’t pose a significant threat to heath but can be embarrassing, cause distress and have a negative impact on lifestyle. To smooth lines or lift and volumise cheeks. New Generation Chemical Peels. Physiological. Refreshing. Non-surgical Radiofrequency & Cavitation treatment. If you are interested in receiving further details on special events and VIP offers then please fill in the form below. Why is water good for our skin? Not just our skin, the rest of our body too – we are around 60% water don’t forget!